A great way to insure your retirement. If you’re tired of lying awake at night worrying about the effect market volatility and world events are having on your fragile retirement nest egg, maybe it’s time you considered the safety and security of an investment that offers a guaranteed income stream you cannot outlive. Annuities can provide such guarantees, so let’s take a look at them and consider whether they make sense for you. Basically, an annuity is a contract between you and an insurance company, whereby you give the insurance company a premium payment(s) and they guarantee* to give you specific benefits. While annuities are not life insurance policies, they are typically issued by life insurance companies and are considered insurance products. An annuity can be purchased with a single lump sum payment or by making premium payments over a specified period of time. Interest on the annuity will be compounded and grow tax-deferred. If you paid for the annuity with after-tax dollars, when you make withdrawals or begin receiving payouts, you will only pay taxes on the interest earned on your premium payment. Withdrawals are subject to income tax and, if made prior to age 59 1/2, a 10% federal penalty tax may apply. While annuities are not for everyone, they can be a very effective tool in your retirement portfolio. An annuity can fill the gaps in your retirement income by paying you a steady stream of income in your retirement years. 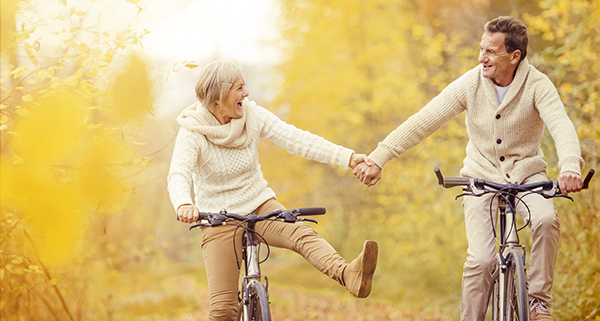 Many seniors like annuities because, depending on the annuity and the riders they choose, they grow at a guaranteed rate and generate an income stream that lasts the rest of their life.